The 2015 Tour de France gets underway in Utrecht on July 4th and cycling betting fans around the world can hardly contain their excitement. The Dutch university city will stage the beginning of a race that Alberto Contador has described as "the most open in Tour history". 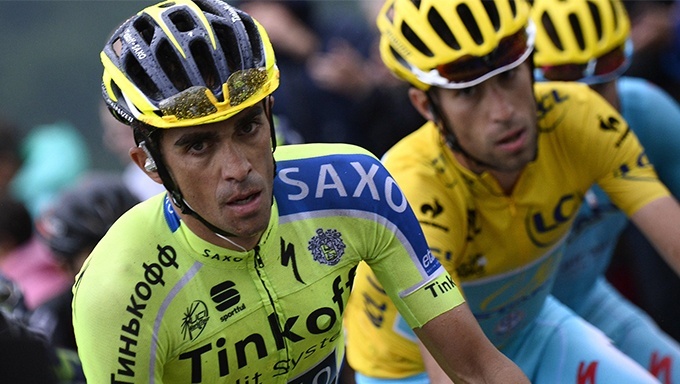 Contador, the Tour de France champion in 2007 and 2009, has some extra motivation for this year's event. If he wins, he will become only the eighth rider in history to claim both Le Tour and the Giro d'Italia in the same year, following his triumph in Milan on May 31st. The Spaniard is priced at 5/1 at William Hill Sports to cross the finish line on the Champs Elysées in the famous yellow jersey. However, there are several other riders who could derail his campaign over the 21 gruelling stages of this year's Tour. Speaking to The Guardian recently, Contador admitted that the 2015 route is set up “for the climbers” – there are six summit finishes and four consecutive days of racing in the Alps. With that in mind, he named Nairo Quintana of Movistar as a serious contender. Of course, the most pressing issue for cycling fans is stage one – an individual time trial of almost 14km across largely flat terrain. This stage should suit a punchy and powerful rider, so German time-trial specialist Tony Martin is strongly fancied at 5/6 with William Hill Sports. Martin leads a trio of riders who have been tipped to triumph in the Grand Depart, the others being Dutchman Tom Dumoulin (3/1) and Fabian Cancellara of Switzerland (9/1). Quintana is generally rated by the bookmakers as second favourite (behind Britain's Chris Froome) for the 2015 Tour. Coral Sports is offering 5/2 on Quintana finishing as this year's winner, while also making the Colombian 9/2 favourite to be crowned King of the Mountains. Quintana was first in the mountains classification in 2013, when he finished second overall. Froome is another rider who will be looking to reproduce his form of 2013. The British cyclist won the yellow jersey for Team Sky in 2013, but was forced to retire from last year's Tour after falling twice while riding in difficult conditions during stage five. Froome – one of a record-equalling ten UK riders in the line-up – has been widely tipped to come back strongly this time. Rated by many observers as the best all-around rider in the field, he is the 2/1 favourite at Ladbrokes Sports. Contador, Quintana and Froome are three of four big names generally rated as the main contenders for the yellow jersey.The fourth rider is Vincenzo Nibali, last year's winner. To casual observers, it may seem strange that the reigning champion is not more strongly fancied (he is currently priced at 5/1 with Betfred Sports), but Froome and Contador both crashing out in 2014 arguably helped his cause. That being said, the Astana team member is still a hugely talented rider who could be in contention again this year. Nibali is expected to ride aggressively during the first week, as he will probably struggle to match some of his rivals when the Tour reaches the mountain stages. Nicknamed Spartacus on account of his aggressive riding style, Cancellara suffered an injury following a bad crash in March but seems to be regaining his form, having performed well at the Tour de Suisse in June. The 34-year-old, who has a total of eight Tour de France stage victories to his name, has admitted that this year's Tour could be his last as he enters the latter stages of a distinguished career. If it does prove to be his swansong, Cancellara will hope to go out on a high by enjoying another stint in the maillot jaune. Ready to place your Tour de France bets? Visit William Hill Sports today.